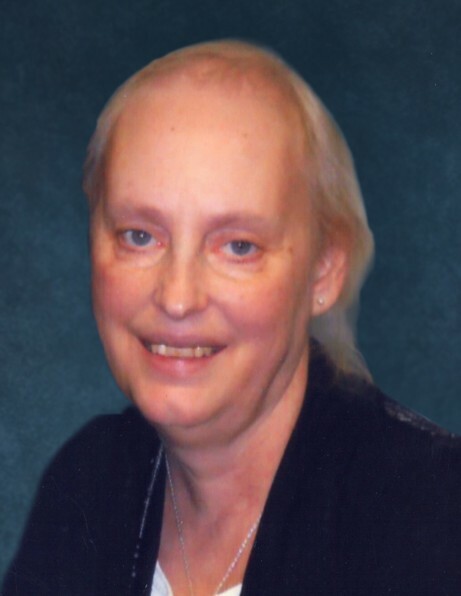 Ronnell Michelle Yanish, 64, of Alvarado, MN, passed away on Monday, December 3, 2018, at Altru Hospital, Grand Forks, ND, with her family at her side. Ronnell was born on December 19, 1953, in Princeton, MN, to Ronald and Dorene (Swanson) Martineau. She was raised in and around Zimmerman, MN, and prior to her Senior year, she moved with her family to Flensberg. Ronnell graduated from Little Falls High School in 1971. In 1969 Ronnell met Terry Yanish at North Star Resort on Leech Lake, MN and they began a long-distance friendship. By 1971, the two were “going steady,” and in April of 1972, she moved to Virginia to be with him while he served with the U.S Marine Corps. On May 25, 1972, Ronnell was united in marriage to Terry in Woodbridge. The teenage newly-weds lived in and around Quantico, VA before returning to Alvarado with their daughter Tera following Terry’s discharge in 1973. Together they raised their children, Tera and Kurt, in Alvarado where Ronnell was a homemaker. She also worked several different jobs over the years. She loved to visit with people and travel, though she always preferred “being there” with family and friends to the road time. Ronnell suffered from Myotonic Dystrophy (myotonic.org), a condition which impaired her balance and caused numerous other ailments and injuries. Although she was not able to keep up with her early passions for dancing and roller skating because of increasing unsteadiness on her feet, she well made up for it with a passion for spending time with her grandchildren. She enjoyed reading, playing cards, cross stitching, as well as attending the Marshall County Fair with her family. In earlier years, she enjoyed the carnivals rides with her grandkids, and in more recent years took in a number of concerts at the Fair. Ronnell was a member of the Alvarado American Legion Auxiliary, New Hope WELCA, and the Alvarado Jaycee Women. Despite her frailty these last 20 years or more, Ronnell was as active as she could be and grateful to her family and friends for their love, patience, and kindness. Ronnell is survived by her husband of 46 years, Terry; children, Tera (Trent) Jarvey of Grand Forks, and Kurt (Jennifer) Yanish of Alvarado; grandchildren, Aimee (Jared) Homstad, Lucas Jarvey, Jenna Jarvey, Cameron Yanish, and Micaela Yanish; and two great-granddaughters, Brystol and Brynlee Homstad. Ronnell is also survived by her brother Terry Martineau; a sister, Melissa Hanson; as well as several aunts, uncles, many cousins, other relatives, and many friends. She was preceded in death by her parents, Ronald Martineau and Dorene VanVleet; brother, Ronald Martineau; nephew, Barrett Yanish; niece, Ashley Lyn Yanish; and her aunt, Betty “Sis” Schmiege. FUNERAL SERVICE: Saturday, December 8, 2018, at 11:00 AM, in New Hope Lutheran Church, Alvarado, MN. VISITATION: Friday Evening, December 7, from 5:00-7:00 PM, with a Prayer Service at 7:00 PM, in New Hope, Alvarado; and one hour prior to the funeral. INTERMENT: Oaklawn Cemetery, Alvarado, MN.